Source: Shiseido Australia's Facebook page. 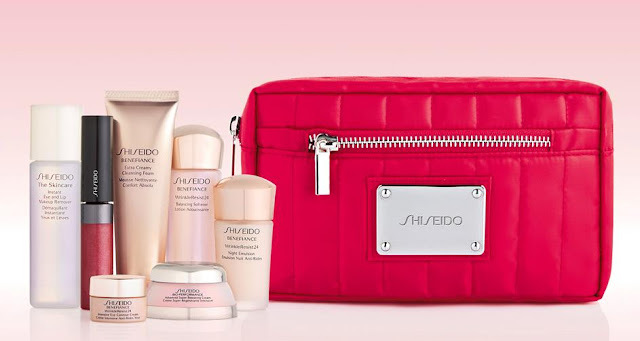 Shiseido is currently offering an 8-piece gift with purchase when you purchase 2 Shiseido products, one being skincare, at David Jones. The gift contains deluxe skincare samples of your choise plus a full-size lip gloss and a signature Shiseido pouch. Trust Shiseido with their awesome GWP :) Oh! I didn't know you're in Brissie too! Their pouches along with their generous samples always tempt me! I was excited to see that this one comes with a full size lipgloss!